There are several different uses for cotton swabs and cotton tipped applicators. With numerous applications comes a number of options you can choose from in order to achieve the right resolution based on your needs. Whether you're a medical professional or just need some for around the house, these cotton tipped applicators can help you on a daily regular basis. Sterile vs. Non-Sterile: Cotton swabs and applicators come in several different forms but can be both sterile and non-sterile depending on the environment it's being used for. 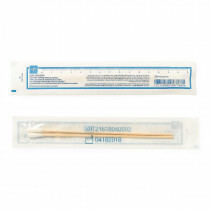 Individually-wrapped swabs such as Curity Cotton Swabs provide a sterile product that can be used in a sterile environment such as a doctors office or a clean room. Non-Sterile swabs will come straight out of a box without being individually wrapped. Length: The length of a cotton swab can vary depending on the needs of the user or the person. A standard length is typically six inches, however, other shorter and longer lengths are manufactured as well. Oral vs. Other Uses: Sometimes a cotton swab is no good when working in a certain area such as the mouth. A toothette, for instance, is a swab stick that can be applied inside the mouth for cleaning or gathering a sample. 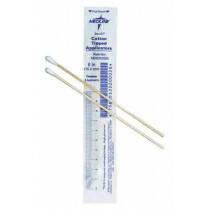 Other cultural swabs can be used to collect saliva samples for strep-testing or other needs. Individuals vs. Boxes: If all you're looking for is a few cotton swabs to get a job done, there are plenty of single or double packed swabs available for those quick use-and-throw situations. Tightly-packed boxes are also available and are typically unwrapped. These will help you with everyday uses around the house. Cotton Swabs are the perfect size for multiple small-item usages. Getting the right ones for you is a matter of what you're looking for specifically, but are available at Vitality Medical.